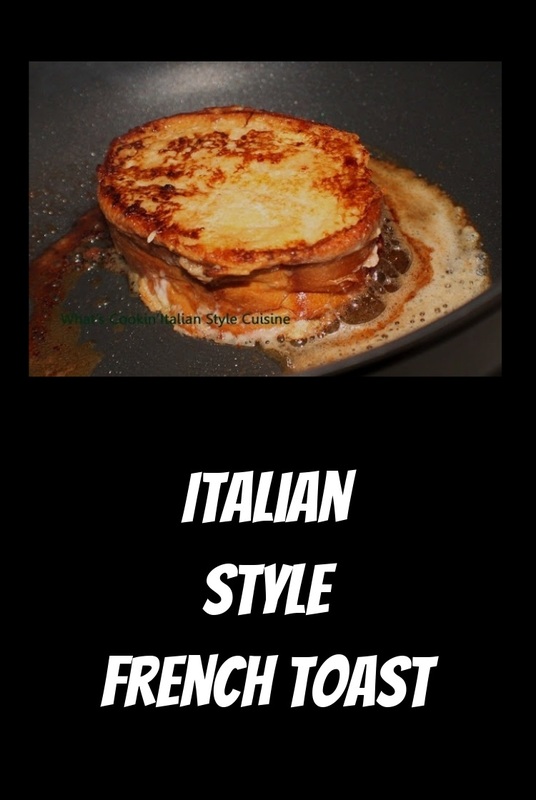 Italian French Toast?The ingredients are very rich but if you want to treat yourself to a great Italian french toast, this is it. Sometimes you have to indulge. When we were growing up, we had a milkman. Mom would use some of the cream accumulated on the top of the milk in this recipe and sometimes even whip the cream to use as a garnish. Don't forget to pass the butter and real maple syrup. 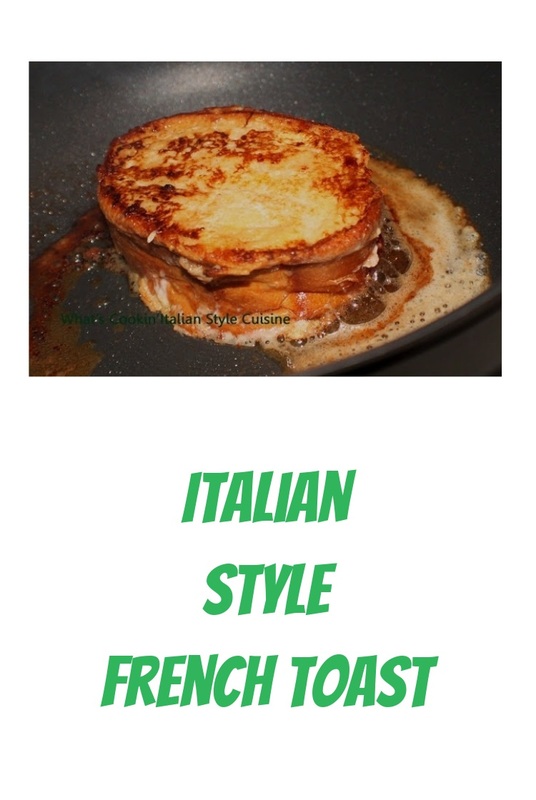 A great loaf of bread makes all the difference in this french toast. I buy a big whole loaf of bread and cut thick slices. You can use day old bread and a nice hard crusted type taste the best! suggestions: Italian, egg bread, panettone, ciabatta, cuban bread, french bread stick, brioche. In a large baking square deep dish, whisk the eggs, cream, cinnamon, baking powder, vanilla and peel together. Lay the bread slices in the dish and let soak for 5 minutes. Using a griddle heated on medium, melt 2 tablespoons unsalted butter. 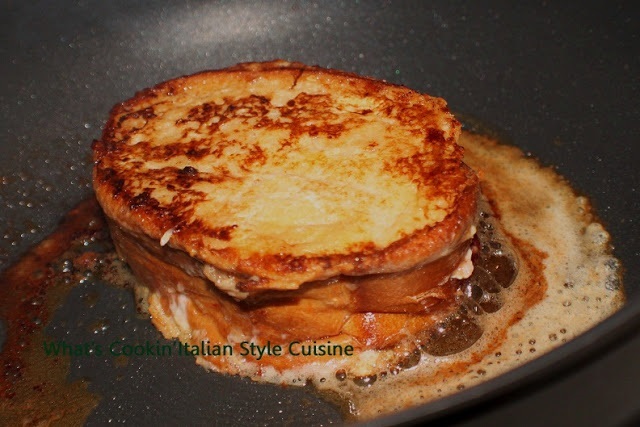 Place the Italian French toast on the griddle and cook 3 minutes on each side or golden brown. Serve with real maple syrup, honey, fresh ricotta cheese, mascarpone cheese or jam. Garnish with whipped cream if you prefer. You can sprinkle pecans on top or chocolate chips too for a real treat. Wow, yummy my friend!! Thank you for this great recipe..nice for a weekend breakfast too. Have a nice week. That French Toast looks delicious! I have never thought to add zest to it before. This seems more like a yummy dessert than breakfast. What a treat!